I hope you’ve enjoyed the guestcomics. Thank you so much to everyone who helped me out these past 3 months, inculding the people who’se comics didn’t make it online. Next week’s the start of new comics from my own hand, hope to see you there. Dork Toes year 4, 2015. 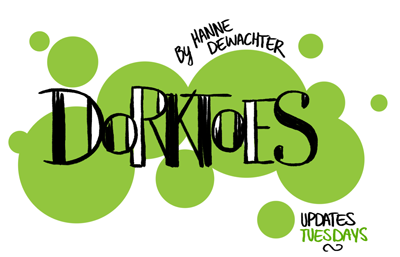 The fourth year of Dork Toes: 96 pages of comics including previously unseen content for €17! Hi! If you love my work and don’t want me to die of starvation, please click this button multiple times to ensure te future of this website!